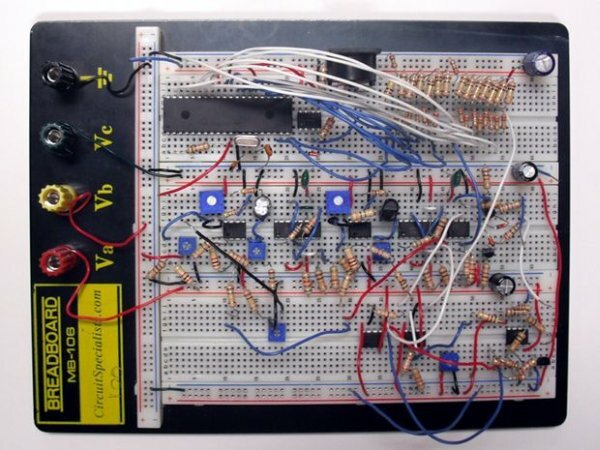 For my electrical engineering senior design project, I decided on designing a analog music synthesizer with MIDI control. I have to admit, this was what I wanted to do since high school and was my ultimate goal as a musician, artist, DIY person, and engineer. This project, in the end, will combine all of my knowledge into one nice little package that I get to show off to friends, family, and faculty and is to be completed by the end of this year. 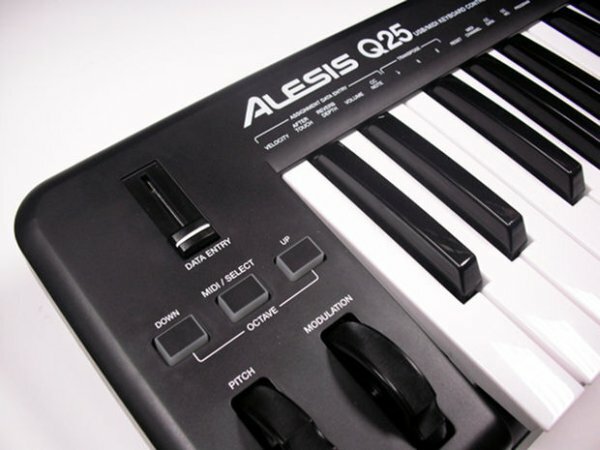 The first image is the Alesis Q25 MIDI keyboard I purchased to test with. The second, third, and fourth images are of one of the initial synth implementations. The initial design features two voltage-controlled pulse oscillators (VCOs) scaled at one volt per octave. MIDI control is done with a PIC microcontroller that receives data and outputs it to a digital to analog converter (DAC). The voltage from the DAC is used as a control voltage (CV) for the oscillators. Velocity has not been implemented in this version and the last note played is always heard at output. The fifth image is our current revision. It features the addition of a voltage-controlled amplifier (VCA). With this version, we now have a MIDI-controlled monophonic synthesizer. It is not in the video. I’ll add another video of the most recent revision as soon as I get back into the lab.